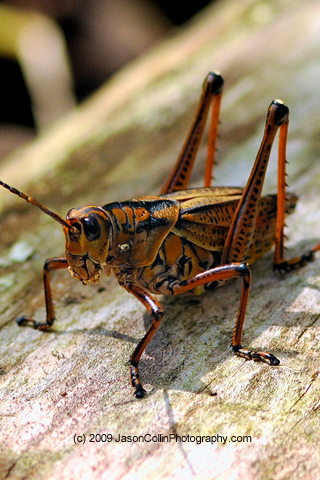 free iPhone wallpaper -- a big grasshopper at Morris Bridge in Tampa, Florida. Start your work week off with a free new wallpaper for your iPhone or iPod touch! This week's free iPhone wallpaper may not be for everyone. I know my wife cannot even look at it. However, I feel this big grasshopper is very friendly looking and perhaps even smiling for the camera? Let me know if you use this wallpaper in the comments below! My full (and growing) collection of iPhone wallpapers can be viewed HERE and are available for just $1 each.